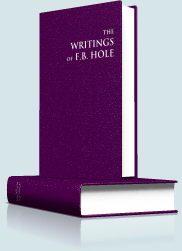 The Writings of Frank Binford Hole includes 206 essays and articles collected from various publications written over the lifetime of F. B. Hole (1874-1964). Hole edited and contributed to two periodicals in London: Edification and Scripture Truth. Most of the articles in this module first appeared in one of these publications. 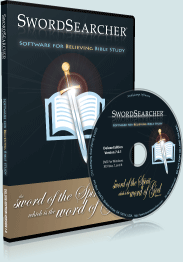 As with all book resources in SwordSearcher, this module can be instantly searched by topic, phrase, or verse reference. Blood and Water. What do they mean? Wherefore then didst thou not obey?